Roulette is often featured in movies and television shows, and the classy reputation that’s attached to the game makes it a popular game at both online and offline casinos. Even though roulette is more complex than some of the other popular casino games, it’s easier to experiment and become a master of the game if you play online. Of course, this game also offers the opportunity to enjoy some huge wins, which is another reason it’s popular. If you’re looking for a fun game that is based on luck, you’ll definitely want to give roulette a try. While roulette is fun to play in land-based casinos, here’s a look at a few of the advantages to playing roulette online. When you play online roulette, you’ll enjoy a wider selections of games than you would offline. Most of the live roulette wheels actually have two zeros, and it’s rare to find one that only has one zero. If you’re looking for a single zero game, you’ll definitely want to look online. Not only can you enjoy a larger selection of games, but it won’t cost you as much to play a one zero game when you choose to play at an online casino. You’ll also find that you can play smaller minimum bets when playing online roulette. Most land-based casinos require at least $5 or $10 as a minimum bet, and some games can even cost you $50 for a minimum bet. When you play online, it’s easy to find games that have a minimum bet of just $1, and some online casinos offer minimum bets that are under a dollar. This lets you enjoy playing this exciting game without spending your bankroll so fast. Playing online roulette also gives you the benefit of being able to play at your own speed. This is especially important if you are just learning or if you like playing a faster game. If you play roulette in a traditional casino, you’ll find that the game is often quite small. The game gets even slower if you have a full table or a dealer who is untrained or slow. When you start playing online, you get to play at the speed that suits you, and if you like a fast game, you have several ways to speed up your game. You can re-bet your previous wagers and amounts or you can remove the animation to speed up your game. It’s also possible to auto play the bets, which lets you kick back and relax while you root for your numbers to show up. Of course, it’s easy to cancel auto play, and you get the chance to slow down or take a break whenever you want to. Playing roulette at online casinos allows you to enjoy great bonuses and cash back. The comps you earn are usually based on the amount you’re wagering on the game, and it’s a great way to make some extra money. Many online casinos send out exclusive bonus offers, but you do need to make sure that you check out the terms and conditions. In some cases, bonuses exclude roulette, but you may be able to convince the site’s manager to make an exception for you if they determine that you’re a good, honest player. Of course, one of the best advantages of playing roulette online is the ability to play in the comfort of your own home. It can be expensive to head to a traditional, land-based casino. When you play online, you won’t have to spend time and money on travel. You don’t even have to dress up to go out. You can relax in your favorite comfortable chair, grab a few snacks, and just enjoy all the fun that comes with playing roulette online. It is exciting to play Real Time Gaming Roulette. You can play this game no matter where you live as Real Time Gaming doesn’t enforce any restrictions. That can be a barrier for players in some countries, including the United States. The ability to play roulette online and wager real money and get real winnings may be just what you are looking for! There are two options offered with this roulette game. There is the American Roulette and the European Roulette version. Both offer amazing graphics and real time playing. You can also use the customization options in order to get the gaming set up just the way you prefer it. That is a perk you gain with online gaming that you don’t get in a real life casino. With Real Time Gaming Roulette, you can enjoy the fast pace of the game. This software is designed to work for you so there isn’t frustration with sitting there and waiting for a new round to start. You can set the game speed to turbo if you want to see instant results. Most players though tend to enjoy the animation that shows the wheel in action. It spins around and around and as it slows, your anticipation mounts. You are hopeful the ball will fall into one of the slots that gets you a win! If you would like to bet the same each round, you can use the “rebet” feature. You can also make a new wager for each round of Real Time Gaming Roulette. You can also use the options features to hear the sound or to turn it off. If you would like to hear it, you are in control over the volume. You can enjoy roulette with this online game for only a wager of $1 per round. The maximum wager per round is $500. With such a spectrum of wagering offered, Real Time Gaming Roulette is a game for high rollers, beginners, and those watching their money to enjoy. There are also side bets you can consider wagering. These wagers can be for $1, $5, $25, or $100 per round. Most players in the USA enjoy American Roulette as that is the form of the game they were introduced to. This has a roulette wheel similar to what you find in gaming capitals around the world such as Atlantic City and Las Vegas. There are 36 numbers and two 0s that are green in color. However, the house has a substantial edge, almost twice what they have when you play European Roulette. With that in mind, you are encouraged to give the other version a try too. The roulette wheel for European Roulette has 36 numbers but only one 0 that is green. It is this difference in the 0s that gives the European Roulette more of a benefit to the player than what they get with the American Roulette Version. Other than that, both games are the same. This game doesn’t impose the La Partage Rule where half of the wager goes back to the player if the 0 is where the ball lands. Try this version and see what you think! Many players do enjoy it and they play it frequently. You will need to buy chips with the money in your online gaming account. Once you do so, you can play those chips by betting on various sectors of the roulette wheel. Inside bets occur when you select a number to come up. You can also place your chips between two numbers which is called straddling. Outside bets are those that occur when you bet on black or red or even or odd to come up. One of the most popular online casino platforms is called Playtech. Playtech gaming opportunities are available in dozens of countries and the history of many such online casinos dates back to more than a decade. Playtech roulette provides a beautiful and classy experience. There are authentic sounds made by the dealer and the players can also hear the chips clicking and being moved around. The animation is beautiful but if players prefer to skip it, there are quick play options. Players that choose Playtech roulette also get an opportunity to counter the previous spin by simply pressing a button. The good news is that Playtech casinos have several roulette possibilities for the players to try. The most popular options include European, American, multi-wheel, French and mini roulette. Many players love this game variation because it is the one that features the smallest house edge. This fact stems from the specifics of the game. European roulette features the numbers from one to 36, as well as a single zero. In roulette, the zero is known as a house number. 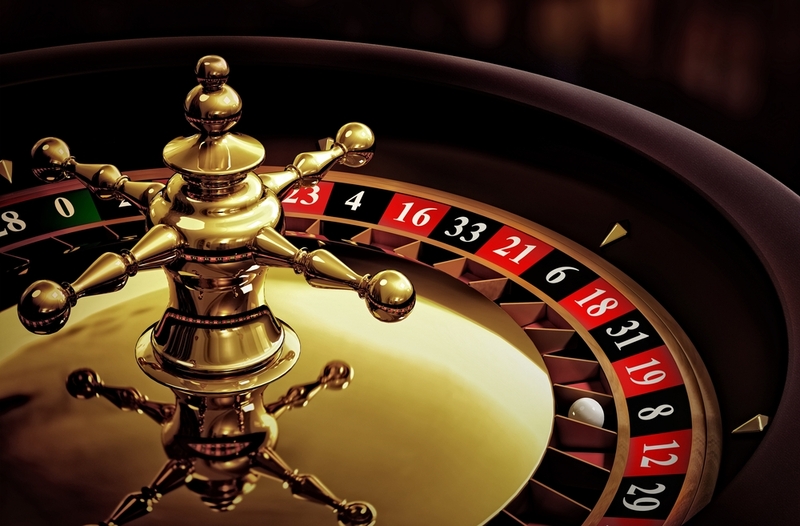 Very few players will ever bet on it, which means that if the ball lands on the zero sector of the roulette wheel, the house will be the winning entity. European roulette online is available both as a single player and a multiplayer game. There are also pro and premium versions that come with slightly better animation and graphics. Playtech European roulette varieties usually come with a minimum bet of one euro and the maximum bet is set at 300 euro. American roulette is more challenging because it has a zero and a double zero sector. These two house numbers increase the edge of the house. It’s nearly double the edge that the house has in European roulette. American roulette also has one additional betting option – a five-number bet that consists of zero, double zero, one, two and three. The problem with this bet is that it comes with a house edge of 7.89 percent. This game is mostly suitable for individuals that plan to place small bets. The ranges in American roulette are from 10 to 300 euro. According to many players, this is the best roulette variation that the Playtech platform has to offer. The main reason for these opinions is a single rule. According to the rule, the even money bets lose only half of the amount in the case of a zero being called. The French roulette variety also comes with some unique betting options. This game is quite interesting because up to six roulette wheels could be used at the same time. The player has the right to choose the particular wheels that they want to bet on. The bet will be multiplied by the number of wheels and the games will be played one after the other. This game follows the rules of European roulette. The final variety that players can choose on the Playtech platform is mini roulette. The “mini” in the name stems from the fact that the numbers on the wheel are fewer than in the standard roulette varieties. There are only 12 numbers and zero. The fewer opportunities, however, result in a much bigger house advantage than in the cases of American and European roulette. In mini roulette, however, a ball landing on zero will result in players getting back half of their even money bet.